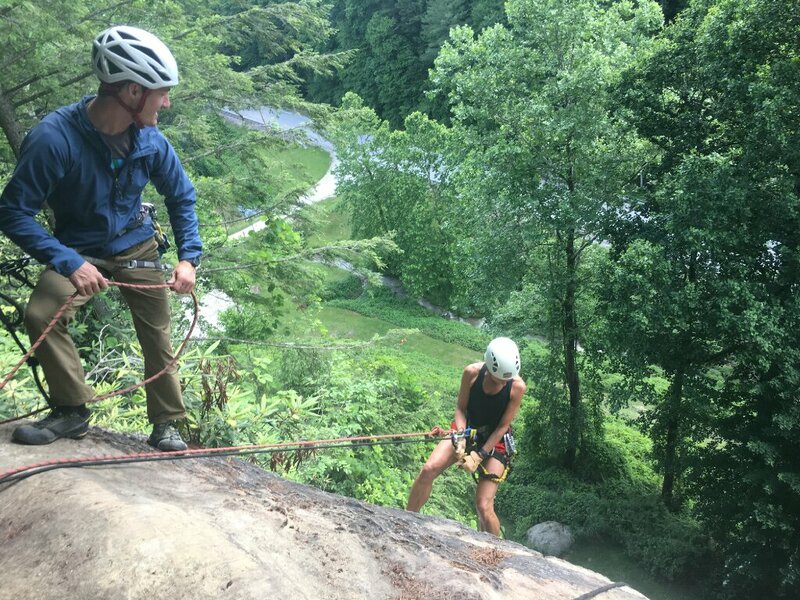 We can create a fun and educational rappelling trip for you. 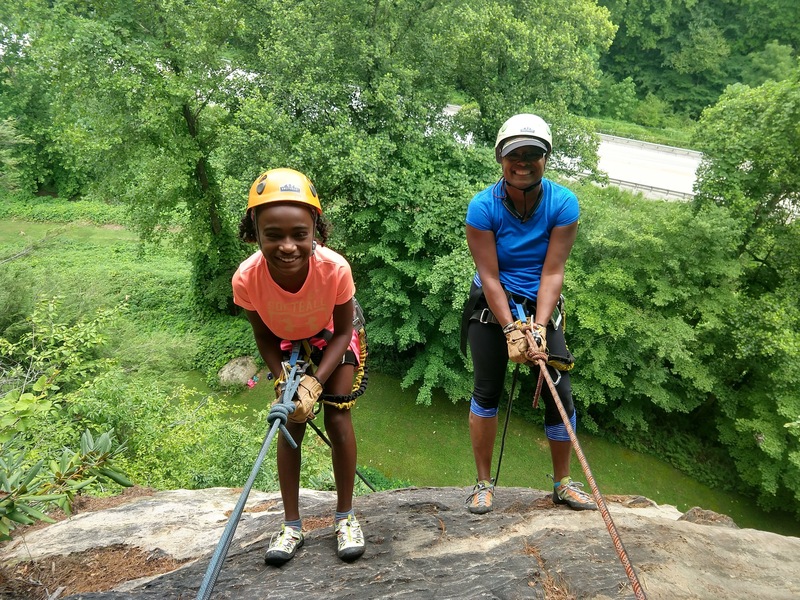 We commonly rappel from heights ranging between 50 feet and 120 feet! Although there are no age restrictions for this activity, we recommend this trip for ages 6 and up. Simply give us a call to make a reservation. RESERVATIONS ARE REQUIRED. Meet with your instructor on the day of your reservation. All trips are private –just you, anyone else you’ve reserved in your group, and your AMGA certified instructor. 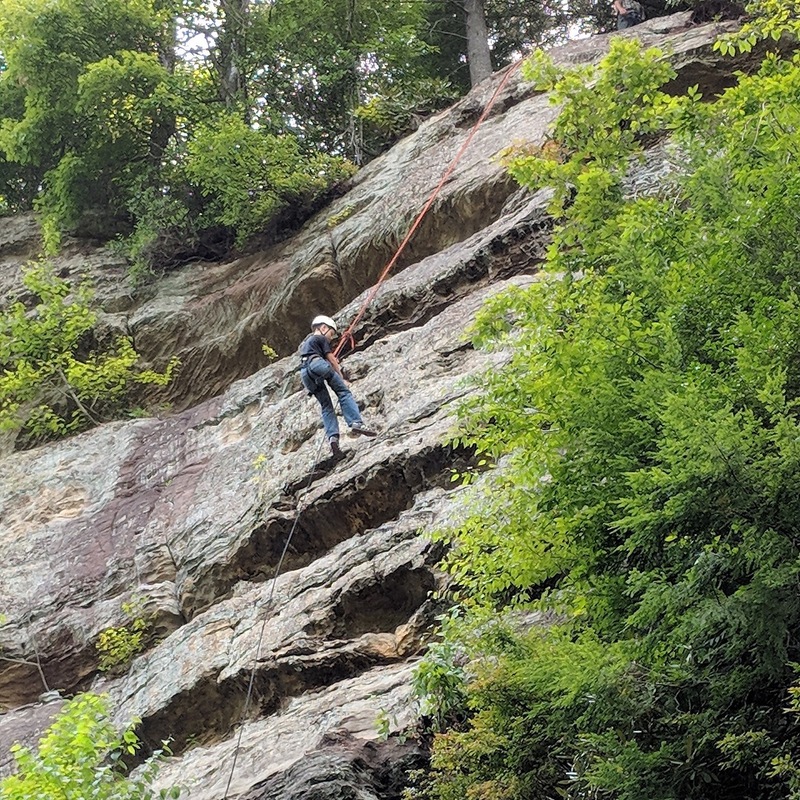 Rappelling in our area typically consists of a 5-10 minute hike to the top of the cliff line. You will then get to descend the rock face by way of ropes and specialized rappelling equipment. Your instructor facilitates the day based on your needs & desires. You may rappel as many times as you’d like off of multiple rappel sites during your reserved time frame. ALL PRICING IS PER PARTICIPANT. A half day is up to 4.5 hours and a full day is up to 8 hours. Youth ages 9 & under participate at $20 OFF! We believe climbing is life-changing, and it’s our goal to introduce you to that discovery! We take the time to get to know you, to best help you enter or progress in your journey of climbing. Please call us at (606) 668-6613 for more info or to make your reservation. You can also e-mail us for more info on our contact form here. Have a quick question? Feel free to text us at (859) 428-7573.